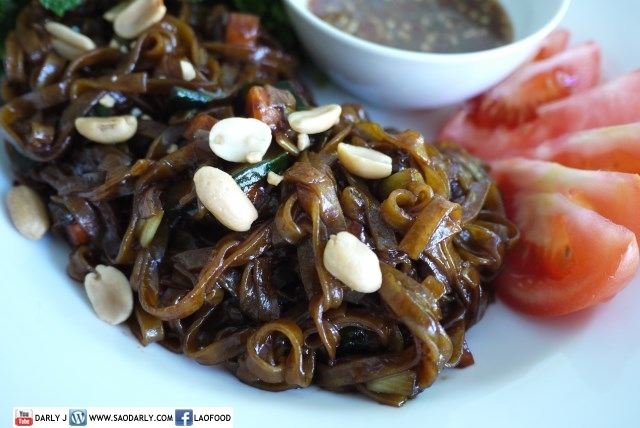 Lao Fried Noodles (Khua Mee) for lunch. 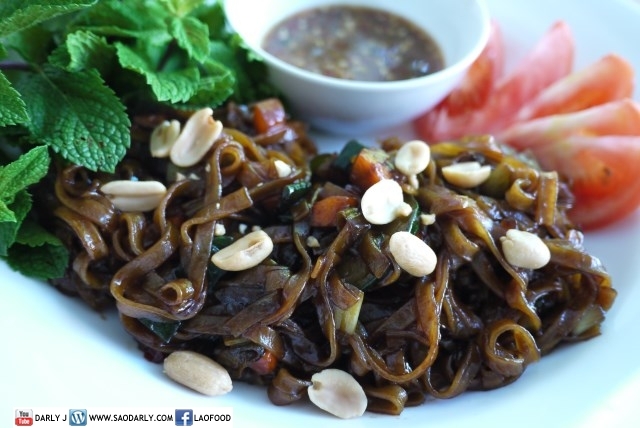 I used organic cane sugar and mushroom soy sauce to get the darker look of the noodles. 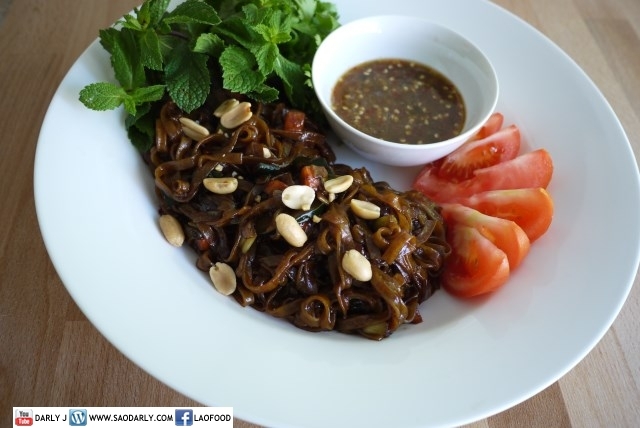 I like to eat Khua Mee with Tam Maak Hoong (Lao Green Papaya Salad) or wrap in lettuce with herbs, cucumber, tomato, and served with sweet and sour dipping sauce.